The Comerford family of Ardavon House, Rathdrum, Co Wicklow, founded Rathdrum Mill, beside Rathdrum Bridge, in the mid-19th century. Rathdrum Mill finally closed in 1935. Ardavon House occupied a prominent site at the northern end of the town, facing the junction of the Main Street with the roads to Lowtown and to Clara, Laragh and Glendalough; at the southern end of the Main Street, in a similar position, is the Church of Ireland Parish Church of Saint Saviour’s. Between the two, there is still (April 2014) a Comerford shop on the Main Street. Ardavon House was burned a few years ago and has been a sad burned-out shell ever since, covered in graffiti, with its doors and windows blocked. 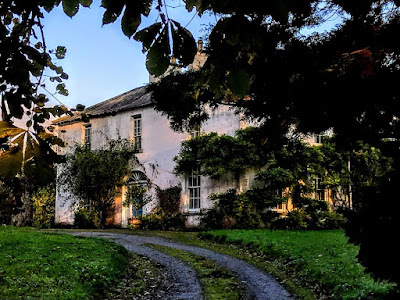 Yet the house, with its imposing portico, remains a surprising element in Rathdrum’s townscape, sitting right next to the heart of the town, yet remaining aloof in its secluded grounds, hopefully awaiting refurbishment. There was a number of inter-marriages between the Comerford family of Rathdrum and the Ellis family. The Ellis family of Kilpoole, Co Wicklow, were one of the last owners of Rathdrum’s largest brewery, at the Fairgreen. Members of the Comerford family were close friends of Charles Stewart Parnell, and the family become associated with Co Wexford through inter-marriage with the Esmonde family. The most prominent members of this branch of the family in more recent times were the Republican activist, author and journalist Maire Comerford and her nephew, the film-maker Joe Comerford. This branch of the Comerford family is said to have originated in Balinakill, Co Laois, between Abbeyleix, Ballyragget and Castlecomer, and close to the border of Co Laois and Co Kilkenny. The Comerford links with Ballinakill date back to the mid-16th century, when the Revd Peter Comerford, probably a member of the Comerford family of Waterford and Castleinch, Co Kilkenny, was the Rector of Dysert Galen (Ballinakill), Co Laois, in the Diocese of Leighlin. He was presented by the Crown to the Rectory of Maghnan de Galen on 26 October 1550. However, the late Maire Comerford, in conversations in the early 1970s, expressed the tradition that this branch of the Comerford family was related to the Comerfords of Bunclody (Newtownbarry), Co Wexford. 1, ..., a daughter, unmarried. 2, ..., a daughter, unmarried. These two “maiden aunts” lived “a little down from the monument” to the men from Ballinakill who were killed during the 1798 Rising. 3, William Comerford, a son, of whom now. 4, Edmund Comerford, a juror in Ballinakill in 1823. 5, Edward Comerford, brewer, of Ballinakill, living in the 1820s, of whom after his brother William. 4, (The Revd) William Comerford, a Vincentian priest. 1, Matthew Comerford, died 1894. 2, James Comerford (1799-1867), of whom next. JAMES COMERFORD (1799-1867), of Rathdrum, Co Wicklow. He was born in 1799. He owned the Comerford mill in Rathdrum, Co Wicklow, and in 1863 he built Ardavon House, which remained the family home of this branch of the Comerfords for a number of generations. Barney Comerford says the mill was built in 1826 and that the mill operated for 100 years. But other family sources says the Comerford family bought Rathdrum Mill from Dr Tomlinson, whose ancestors had lived in Rathdrum from about 1680. In 1840, James Comerford acquired a second mill at Laragh, a mill formerly owned by the Barton family of Glendalough House. This mill was held from the Archbishop of Dublin until James Comerford died in 1867. 1, Kate, married T... O’Donnell and had children. 2, Julia Dymphna, born ca 1831/1832, died on 24 June 1846, buried Ennisboyne. 3, Helen Julia (Sister Mary Gertrude), a nun. She was the first novice to be received by Saint Bridget’s Convent, Rathdrum, Co Wicklow. She died on 8 February 1883. 4, Mary, died on 22 September 1859, buried in Ennisboyne. ● 1a, Eugene Comerford (1862-1862), born in January 1862, he died an infant on 29 November 1862. ● 2a, James Comerford (1863-1863), born on 21 June 1863, he died an infant on 19 August 1864. ● 3a, Edward Comerford (1864-1942). He was born on 25 June 1864, he died on 3 September 1942, aged 78, and is buried in Ennisboyne, Co Wicklow. He was educated, with his brothers Owen and James, at Oscott College, Birmingham (1876–1882). He was an engineer in the Kimberley Diamond Mines, South Africa, and a shareholder in Rathdrum Mill. He married in 1922 Violet McDermott (1891-1975), daughter of Charles McDermott and Margaret Margaret Elizabeth Ellis, who were married in Saint Mary’s Parish, Maynooth, Co Kildare, on 28 August 1878. Violet (McDermott) Comerford was born on 21 December 1891 and died on 11 November 1975. ●● 1b, Edward (‘Ted’) Comerford (1924-2003). He was born in 1924, and died in 2003. He was educated at Clongowes Wood College, Co Kildare, and Trinity College Dublin, and was a civil engineer. He married Mary Fallon, a teacher. Their son, Alexander John Edward Comerford (born 28 March 1970), is a motorsports photographer. ● 4a, Mary (1866-1925), born on 1 January 1866, she died unmarried on 26 March 1925, aged 59. ● 5a, James Comerford (1868-1924), born on 9 August 1868. 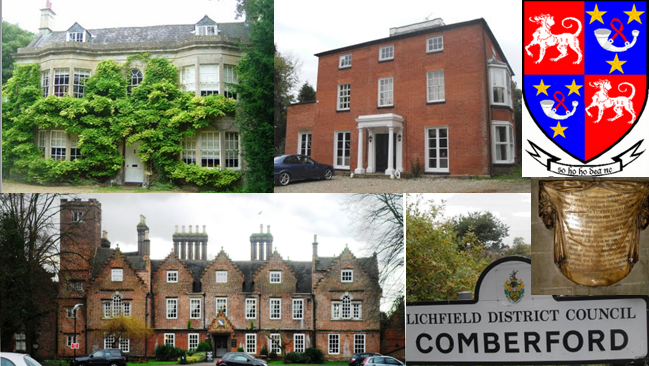 He was educated, with his brothers William and Owen, at Oscott College, Birmingham (1880-1881). He died unmarried, aged 56, on 11 October 1924. ●● 1b, Nora Kathleen (‘Norrie’). On 23 September 1940, she married James Henry Montgomery, civic guard, of Chapelizod Garda Barracks, Co Dublin. They later lived at Garden Hill House, Castle Connell, Co Limerick (1945). They had no children. Norrie Montgomery died in 1972. ● 7a, Helen Polding (1870-1913). She was born on 8 June 1870, and died unmarried on 3 September 1913, aged 43. She is buried in the family grave, Ennisboyne, Co Wicklow. ● 8a, William Comerford (1872-ca 1925). He was born in 1872, and he died unmarried aged 53. ● 9a, Julia (1874-1945). She was born on 27 May 1874, married E... Gargan, and died on 7 April 1945. 6, William Comerford (1838-1893). He was born in 1838, died on 26 October 1893, aged 55, and was buried in Ennisboyne. He was a shareholder in the Rathdrum Mill, which was built in 1828, closed for a short time in 1928, and finally closed in 1935. 7, James Charles Comerford (1842-1907), of Ardavon House, Rathdrum, Co Wicklow (of whom next). 8, Anne Elizabeth (1841-1937). She was born in 1841, and died on 26 January 1937. She married W... Hartnett (who died on 2 June 1903). 9, Alexander Comerford (ca 1844-1895), of Greenfield House, Hoole, Chester, and 11 Brunswick Street, Liverpool, born ca 1843/1844, he died unmarried on 26 May 1895. A corn merchant, he was killed when he was thrown from a horse. Administration of his effects in Ireland, valued at £3,022 12s 10d, was granted to Edward Comerford in 1907. 10, (Sister) Harriet (1846-1915), a Sister of Charity (Sister Mary Joseph), died on 30 June 1915. JAMES CHARLES COMERFORD (1842-1907), of Ardavon House, Rathdrum, Co Wicklow, a shareholder in Rathdrum Mill. He was born in 1842. 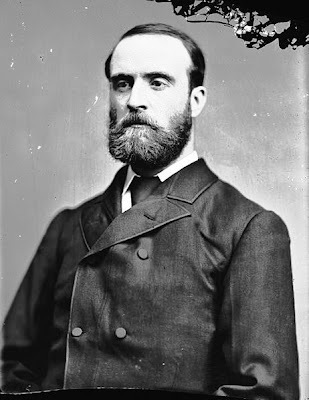 He was a friend and political ally of his neighbour, Charles Stewart Parnell. On 15 December 1881, when the Land League organised a demonstrative day of action in support of Parnell by calling on people to plough and manure his fields at Garrymore, near Rathdrum, and at Avondale, Comerford gave his mill workers in Rathdrum and Laragh the day off to take part. The Comerford mill in Rathdrum burned down in June 1885, but was rebuilt and the business was flourishing a year later in June 1886 when the Comerfords hosted a visit by British and Irish millers. On 7 September 1892, James Charles Comerford married Eva Mary Esmonde (born on 3 November 1860, died on 5 September 1949 aged 88), daughter of Lieutenant-Colonel Thomas Esmonde VC (1831-1872), of the 18th Royal Irish Regiment and Deputy-Inspector General of the Royal Irish Constabulary. Colonel Esmonde received the Victoria Cross for his part in the Battle of Sebastopol, on 18 June 1855, being the first officer to enter Sebastopol after the siege. Colonel Esmonde, whose great uncle was the Right Revd James Murphy, Bishop of Cork, was a younger brother of Sir John Esmonde (1826-1876), 10th Baronet, of Ballynastragh, Gorey, Co Wexford, and Glenwood, Rathdrum, Co Wicklow, Liberal MP for Waterford (1852-1876). Eva Mary (Esmonde) Comerford was three times tennis champion of Ireland. 1, Mary (‘Máire’) Eva Comerford (1893-1982), of St Nessan’s, Sandyford, Co Dublin (see Comerford Profiles 21: Máire Comerford (1893-1982), republican activist and journalist). She was born on 29 June 1893, and she died at her home aged on 16 December 1982, aged 89, unmarried. Máire Comerford was raised in Co Wexford and in Co Waterford. A life-long Republican activist, she first became active in politics as a Redmondite in Wexford Town, but then took part in the 1916 Rising. in Dublin She ran a farm in Co Wexford before working as a journalist on the staff of The Irish Press from 1935. She was buried beside Father Sweetman on Mount Saint Benedict outside Gorey, Co Wexford. 2, (Colonel) Thomas James Comerford (1894-1959). He was born on 1 November 1894 and raised in Co Wexford and Co Waterford. He was commissioned as a Second Lieutenant in the Royal Irish Regiment in September 1914. He was on active service at the Souvla Bay landing (Gallipoli), and was temporarily with the 6th Battalion, Royal Munster Fusiliers from 7 to 16 August 1915. He was badly wounded in the mouth and chest and was not declared fit for active service until December 1915. He later told his son that he was in Dublin while his sister Máire was involved in the Easter Rebellion in 1916. He was on active service in France from 22 July 1916 in the latter part of Battle of the Somme with the 13th Battalion, Royal Irish Rifles, and then in Belgium at the Battles of Messines, Langemark, Menin Road, Ploegsteert and Wytschaate. He joined the Indian Army in November 1917 and would spend 25 years in India. He was active in World War II organising supplies for the Chindits. He died aged 65 on 1 January 1959 in West Malling, Kent. He married in Bombay on 10 October 1921 Edith Isobel Donaldson; she died on 9 September 1990. They had a son and a daughter. Their grandson is Roger Comerford. 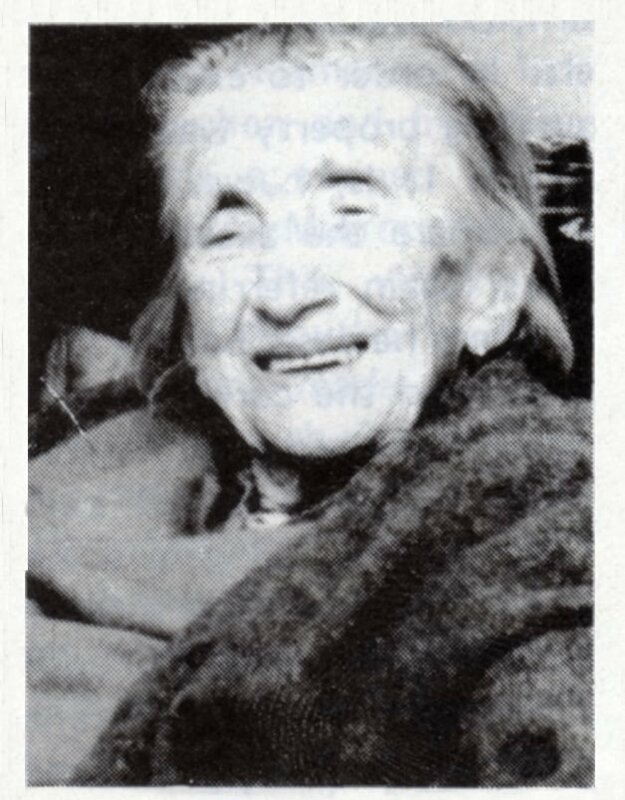 3, Dympna Helen (1897-1977), born 9 November 1897, she died in 1977 aged 80. She married Paddy Mulligan, and they had a son and a daughter, Patrick Mulligan and Margaret. 4, Alexander E. (‘Sandy’) Comerford (1900-1966), of Nairn, Saint Margaret’s Park, Malahide, Co Dublin. He was born 5 February 1900 and died on 17 December 1966. He worked with Bord na Mona. He married on 5 October 1941 Kathleen McNelis (1911-2000) of Donegal. She was born on 22 December 1911 and died on 29 December 2000. They are buried in Malahide Cemetery, Co Dublin. They are the parents of the film-maker Joe Comerford (see Comerford Profiles 24: Joe Comerford, film-maker). Ardavon House was the residence of the Comerford family until 1958 when it was acquired by the Wicklow County Vocational Education Committee (VEC). It was a school until the end of 1991 when it was superseded by the newly built Avondale Community College. The woodwork used in the construction of Ardavon was pitch pine, said to have been salvaged from a vessel wrecked off the Wicklow coast. Ardavon House was badly destroyed in a fire in 1997. 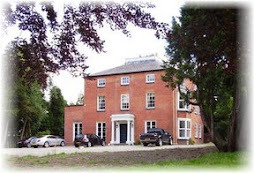 Despite local authority undertakings to rebuild it, the house stands derelict today (2014), a sad reminder of former days. A number of Comerfords from another family in Rathdrum are buried in the graveyard at Saint Kevin’s Monastery, Glendalough, Co Wicklow. This Comerford family originated in Co Kerry, and moved to Rathdrum through marriage. James Comerford, from Derrynane, Co Kerry, married Margaret (Peg), daughter of James and Catherine Brennan of Main Street, Rathdrum. Peg Comerford died on 27 December 1879, aged 42, and was buried in Saint Kevin’s, Glendalough, Co Wicklow. William Comerford (1872-1951), of Rathdrum, Co Wicklow. He was born in Rathdrum, Co Wicklow, in 1872 and was brought up by his uncle, James Brennan. He married Mary Josephine O’Neill, whose family owned the coaching inn that became the drapery shop in Rathdrum that was later owned by the Comerford family. William Comerford of Rathdrum died on 22 June 1951, aged 79; his wife Mary Joe died on 22 September 1987, and are buried in Saint Kevin’s, Glendalough, with their 18-year-old daughter, Eithne, who died on 26 April 1944. 1, Margaret, born 1 February 1916. Peg, or Peig O Tighearnaigh (née Comerford), of Mount Merrion, Co Dublin, originally from Rathdrum, Co Wicklow, died on 29 December 1980, and is buried in Saint Kevin’s, Glendalough, Co Wicklow. She married (Ambrose) Breandán O Tighearnaigh (1925-2013) of Mount Merrion and late of New Ireland/Irish National Insurance, former Commandant, 11th Motor Squadron, FCA (Reserve Army), Insurance Institute of Ireland, Chartered Insurance Institute and board of Peamount Hospital. He died aged 88 on 15 October 2013, and was buried in Roundwood Cemetery, Co Wicklow. They were the parents of a daughter and two sons, Brenda, Cian O Tighearnaigh and Colm O Tighearnaigh. 2, Eithne (1925-1944), who was born on 12 July 1925 and died at the age of 18 on 26 April 1944. She is buried in Saint Kevin’s, Glendalough, Co Wicklow. Patrick Comerford, visits to Ballinakill, Co Laois, 21.9.2008, 22.4.2012. Patrick Comerford, visits to Rathdrum, Co Wicklow, latest visits 6.4.2014, 27.10.2014. Patrick Comerford, visits to Glendalough, Co Wicklow, latest visit 31.10.2009. Patrick Comerford’s conversations with the late Maire Comerford. Barney Comerford, ff 512-513 (Tables WI, WIA). Burke’s Peerage, 1970, s.v. Esmonde, p. 956. Brian Cantwell, Memorials of the Dead – South-East Wicklow, 2 (Delgany, 1973-1975), # 56. Brian Cantwell, Memorials of the Dead – North-West Wicklow with Laragh and Glendalough, 4 (Delgany, 1976-1978), # 140. RH Foster, Charles Stewart Parnell: the Man and his Family (2nd ed, Hassocks, Sussex: Harvester Press, 1979). RM McWade, The uncrowned king: the life and public services of the Hon Stewart Parnell (Philadelphia, 1891). Mss family trees, Roger Comerford. Email correspondence with Alexander Comerford, 23-24 October 2009; conversation with Alexander Comerford, 2011. Email correspondence with Roger Comerford, 28-29 October 2009, 4, 7 and 16 November 2009. Email correspondence with DD Comerford and Roger Comerford, 14 April 2016. Last updated: 24 September 2008; 15, 16 and 19 August 2009; 25 September 2009; 24, 29 and 31 October 2009; 1, 4, 7, 8 and 17 November 2009, 15 January 2010, 3 September 2010, 24 February 2011, 16 September 2011, 30 November 2011, 27 April 2012; 11 April 2013; 1 May 2014, 14 July 2014; 14 April 2016; 6 March 2017; 12 April 2017; 5 November 2017. Hello Patrick, my grandmother's family lived in Rathdrum many years ago. I took the opportunity to stay there in 2005 and was saddened to see the burnt out ruin of Ardavon. I have just seen this web site and thought you may be interested. My father (Edward Alexander) was the last generation of Comerfords to live in Ardavon before he moved to the UK. I have visited on a number of occasions and my fathers ashes were scattered at Three Mile Water following his death a couple of years ago. The last time I was there I had a long chat with a lady in the Comerford clothes shop (no relation to the Ardavon family though). The Edward name has been carried on, i have it as a second name and my son has it as his first name. I am very excited to have stumbled across your fantastic web-page! My name is Roger Comerford and I am the Great, Great Grandson of James Charles Comerford. I live in Sussex England and share your interest in family history, having also compiled a family tree in the last few years. We really must spend some time comparing notes! Hi Patrick- my mother came from Rathdrum, she is the sister of the lady owning Comerford's Drapery shop and that of both Peg and Eithne who are buried at St kevin's in Glendalough. The orgins of the drapery was actually a coaching inn before a drapery and was owned by the O'Neill's, my grandmother's maiden name-Mary Joe Comerford (nee O'Neill). She married William Comerford who was brought up by his Uncle James Brennan. William's mother was Peg Comerford(nee Brennan) who married a James Comerford from Derrynane,Kerry. Peg's mother was Catherine. James Comerford originally of Derrynane was a Railway Engineer who travelled to the Eastern Sea Board during the massive narrow-gauge railway construction mid 1800's. Be married Peg Brennan and had William who was orphaned quite young and brought up in the Meeting of the Water pub by the then owner and brother-in-law of James Comerford. Also regarding the Coaching Inn, it is uncertain that this establishment was in the same building as the Drapery shop. Mary Joe O'Neill's husband William was a butcher by profession and ran that premises as a butch shop until his death when it was then converted to a general clothes shop. To this day in the court yard at the back of the Drapery shop the old animal slaughter houses can be seen. Little appears to be known however about James Comerford (Derrynane) other than he allegedly was related to Daniel O'Connell, on his mother's side (Mary Connell) ... any information regarding him would be great. Regarding the monument to 1798 patriots in Ballinakill one of the names is Crennan not Grennan if you are kindly able to check the image or other official information and you will see it. Australian Crennans come to Ballinakill to see this monument being proud of their Irish heritage!